Mitsubishi Motors and Cutter Mitsubishi Deliver the All-New 2012 Mitsubishi i-MiEV (Mitsubishi Innovative Electric Vehicle) to the first Hawaii retail customer on Monday. Courtesy photo. 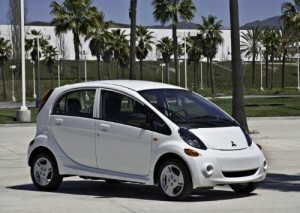 A ceremony will be held at the state capitol building on Monday as the new 2012 Mitsubishi i-MiEV makes an entry into Hawaii’s retail market. Mitsubishi Motors North America (MMNA) and Cutter Mitsubishi will host the event to officially make the first customer delivery of the all-new, affordably-priced, 100% electric-powered 2012 Mitsubishi i electric vehicle. 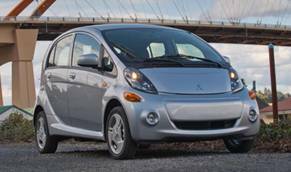 Company officials say the 2012 Mitsubishi i EV boasts safe, reliable, sustainable and cost-efficient personal transportation. Among the dignitaries scheduled to attend Monday’s event are: Governor Neil Abercrombie; State Energy Office Administrator Mark Glick; and Hawaii’s first retail customer. The company’s website estimates that home charging of the Mitsubishi i is likely 12 cents per kilowatt-hour, but actual results may vary, depending on local electricity costs. The 100% Electric Mitsubishi i costs approximately $3.60 to drive 100 miles (based on 62 mile range and EPA cycle testing); while the cost of driving a hybrid vehicle rated at 50 mpg (assuming gas is $4 per gallon) costs $8 to drive 100 miles. The manufacturer’s suggested retail price, excluding destination/handling, tax, title, license, etc., is $29,125 for the ES TRIM and $31,125 for the SE TRIM, as of 9/1/11. 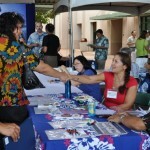 There is a $7,500 federal tax incentive credit that is set to expire on December 31, 2011. The MSRP is subject to change with a $975 destination/handling charge for the Mitsubishi i in Alaska and Hawaii. Further details are due for release following Monday’s ceremony. 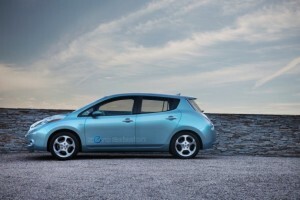 Ask the Mayor: Can’t I Charge My Hybrid at Public Stations?